When Lewis was diagnosed with asthma at the age of two, I knew very little about the condition. 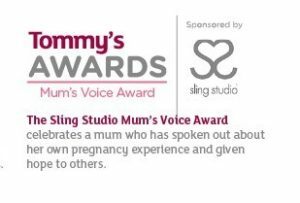 Although I was diagnosed with asthma myself aged twenty three, completely out of nowhere whilst pregnant with Lewis, I naively treated it more as a nuisance than a condition. And actually, asthma can be incredibly dangerous and even deadly. Asthma is explained as “a respiratory condition marked by attacks of spasm in the bronchi of the lungs, causing difficulty in breathing. It is usually connected to allergic reaction or other forms of hypersensitivity” and, as Lewis grew I soon realised that it would impact him, and all our lives, quite heavily over the years. At the age of four when Lewis suffered his first asthma attack and was hospitalised, it really hit me just serious this was. To see my baby gasping for air, too weak to even lift his head from the pillow, his lips going blue despite copious amounts of oxygen being pumped into his lungs, that moment terrified me and, even worse, it was just the start of a series of attacks over the years. At thirteen years old I thought that we had reached a point where Lewis’s asthma was relatively under control, having gone almost a year since his last course of steroids and hospital admission. Over Christmas, with the usual Winter bugs, he began to suffer with his breathing to the point where he was struggling to walk more than a few steps without coughing or needing to use his blue inhaler. After several courses of steroids he did start to improve, and yet we have been left in a situation where his inhalers are no longer doing their job and he is constantly struggling to function “as normal” due to his asthma. 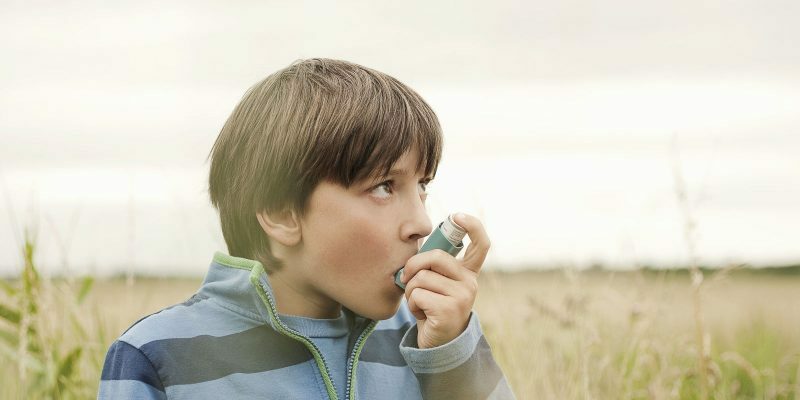 LloydsPharmacy recently commissioned a survey amongst 1000 adults, who either have asthma or care for a child who lives with asthma, which showed that 43% of people caring for a child with asthma say there could be more information available about the condition. Over 34% say there should be more lifestyle advice for managing a child’s asthma, 31% say they fear their child will develop further serious conditions as a result of their asthma, and 38% felt worried about how to manage their child’s asthma and how to stop them from having an asthma attack when they were first diagnosed. Interestingly, 31% say their child cannot take part in the sports and exercise they enjoy as a result of their asthma. And I relate to every single one of these worries. Because now, at fourteen, I am incredibly aware of how asthma is affecting Lewis’s life, his love of sport and every day exercise. I am aware of the constant wheeze with every breath, the night time cough that keeps him awake, and the dark shadows beneath his eyes. And with his inhalers clearly not working as well as they should, and our own GP’s reluctance to address that, when we were invited down to trial the Asthma Support Service, I realised we needed all the help we could get! On arriving at our local LloydsPharmacy we were greeted by a professional and friendly pharmacist who showed us to a private room. 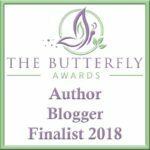 She asked us a series of questions about Lewis’s medical record, his history of asthma, details of his medication and what we were hoping to gain from the appointment. The pharmacist explained that they offer an inhaler check where the child’s inhaler technique is checked to ensure they are being used correctly. With Lewis living with asthma for twelve years, we agreed that the check was un-necessary as he had plenty of experience under his belt! Even so, the pharmacist was able to give some really great advice that, despite twelve years of experience, we were still unaware of. She recommended that, instead of taking his brown inhaler before he went to sleep, Lewis took the inhaler straight after his evening meal so to allow the steroid to open up his lungs well in advance of going to bed. She also recommended washing his mouth out with water after taking the brown inhaler to prevent a dry throat, which was aggravating Lewis’s wheeze, and to rinse any residue steroid from his mouth. She also told us that despite the recommended dose of blue inhaler being up to 4 puffs 8 times a day, Lewis could infect take 4-8 puffs 8 times a day. This made a lot of sense as often Lewis had 4 puffs of his inhaler with no noticeable relief. Lastly she told us that she would personally write to our doctor to recommend that Lewis’s brown inhaler is assessed with the possibility of switching to an alternative steroid. We agreed that his inhaler were not working as they should for him and persevering was showing no improvement. 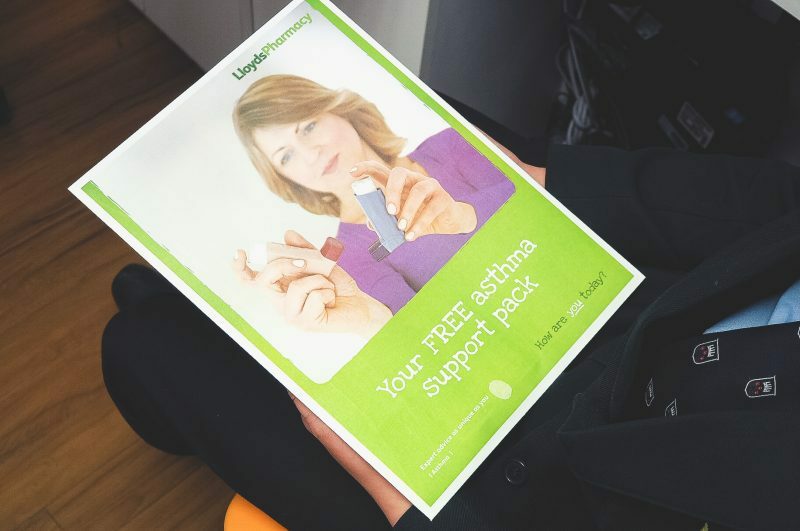 We were given an Asthma Support Pack containing support leaflets from Asthma UK to help parents manage their child’s asthma when they’re at home, away from an expert. The leaflets provide useful websites, information on how allergies affect asthma, an asthma attack recovery plan and services to help support both Lewis and I. The pharmacist told us that she would see us again once Lewis had his new inhalers from our GP and gave us her contact details to make that appointment when we were ready. Within 24 hours I had a phone call from our GP’s receptionist to say that they had received the letter and offered us an appointment in two weeks time to assess his symptoms and medication. Having spent the last few months banging out head against a brick wall with our GP, I was hugely grateful to LloydsPharmacy for acting as the middle man. I am hopeful that, armed with the information we received from LloydsPharmacy, and with Lewis’s medication being changed accordingly, we will be able to take control of his asthma and see an improvement in the coming months. 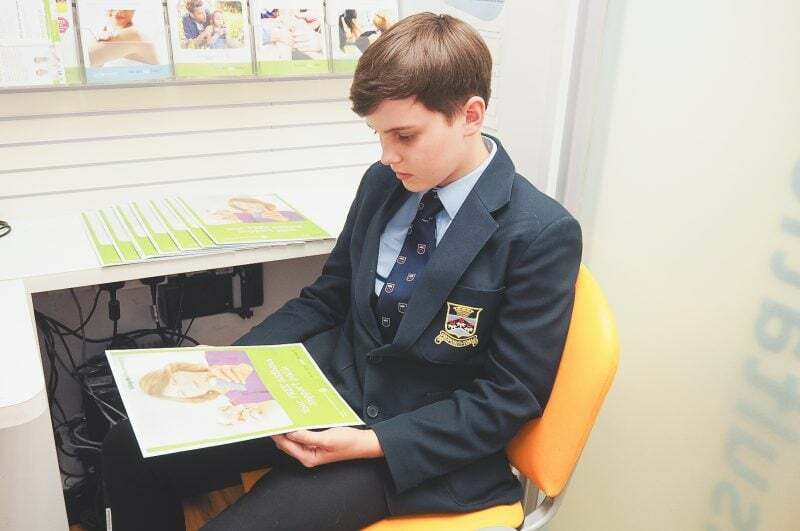 With children aged 12+ being offered an Asthma Control Test to help the pharmacist determine how well you have managed their asthma medicines during the past four weeks, I feel reassured that should we struggle with Lewis’s new medication there will be help and advice available. We were so impressed with the Asthma Support Service provided and I would recommend it to all parents of children with asthma. You can find out more about the services offered over at www.lloydspharmacy.com/en/info/respiratory-support-service. Great post this. As someone who suffered in silence with Asthma as a kid it’s good to see more being done to help at that age! Great article. I think so many people don’t realise how serious asthma really is. What a fantastic and vital support to offer parents of children with asthma! Love this, I went through a lot of similar products when I was younger I have had asthma from a baby until now. Its scary and for some can get better with age! Don’t let it stop your family from doing things (: I also have special tablets to take before travelling aeroplanes. They’re dissolvable steroids that help you breath with the recycled air on long haul flights! 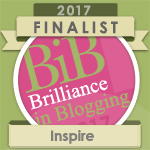 This is such a great post, it is wonderful that LloydsPharmacy are doing this! I have asthma but it was a lot worse when I was a child and it did affect how I did things and what I could do for sure. What is your opinion on using an air purifier to help control arms at home? I have been looking at this site for recommendations and Blueair seems like a good choice. I had asthma when I was a little kid, and the tool from the 2nd picture, I think what made my asthma go away. Thankfully it’s gone now. That pack will help a lot of kids to prevent it. 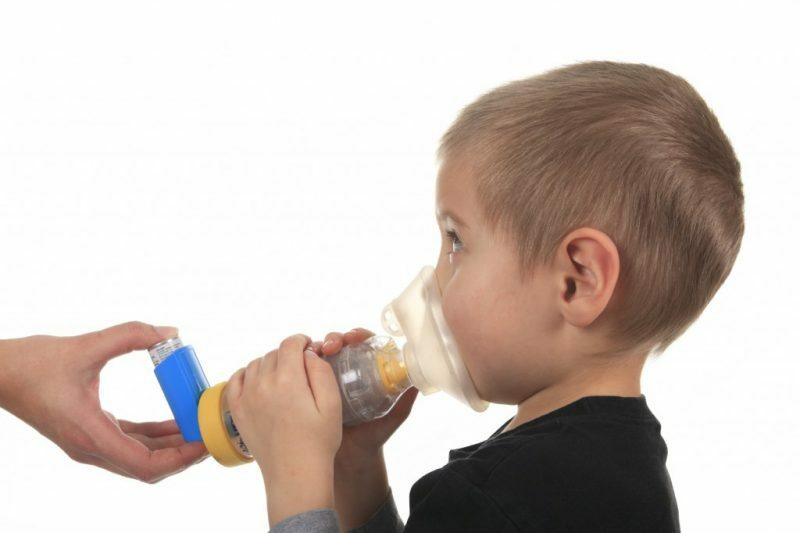 Asthma is not easy to live with especially if you’re a child. I think it’s really nice that you found a place that gives full support of that. This sounds like such a great service. I’ve had asthma since I was a child and have an asthma review every year and I’ve never heard some of those tips before. I have to admit I’ve often been a bit lax in managing my asthma and I had no idea until my last review that ploughing on and just using the blue inhaler to manage things can actually cause long term damage to your lungs. I’ve been much better about using my steroid inhalers since then! As a kid, I was diagnosed with asthma. One of the best specialists in the country advice me to quit the sport immediately and prescribed tonnes of inhalers and tablets. With the medication, I was receiving and zero sport, I gained weight and became depressed. In the end, they found out that I didn’t have asthma to start with! It is such a common disease yet people don’t know enough about it.I can not even imagine how stressful it must have been for you to found out when your son was only 2! Such a great post and I really hope this works for you. Got to be worth trying something new if it might help. This is a great post with a lot of really good info. I was a kid with asthma and thankfully I outgrew it, but I remember those days on the machine just so I could breathe. I was fortunate to have a kid with no asthma problems (fingers crossed it stays that way). I hope all goes well for yours! Asthma sounds like a difficult thing to keep under control. It sounds like you were have such a run of good luck there for a while. I am glad you have such a well educated and informative pharmacy over there. That was some comprehensive information you got that it sounds like made a lot of sense. I could only imagine how difficult it is to suffer from asthma, or have to watch your child go through it. I’m so glad you were able to find the help Lewis needs! Asthma is such a scary disease. Great to hear that you got some solid, sensible advice. Sometimes the advice you get from a GP just isn’t specialised enough. I know my daughter has dealt with asthma and has gone through her own bit of controlled testing. They did help out a lot. That’s great this service does a lot to help. I will have to see if I can find them locally. This is very helpful info for parents whose kids have asthma. Pinned. Asthma can be a real headache especially for the kids who experience them. I think it’s really nice that there’s something like this that families can rely on for asthma treatment. This is such an informative post. Luckily, no one in my family is ever diagnosed with asthma but one of my friends is suffering with it and she has to take care of her environment all the time. This is such a great service to provide counseling and treatment to kids suffering from asthma. When I was a kid I had asthma, and then it was dormant for like 20 years. Recently, though whenever spring is on the horizon, I have breathing complications brought on by allergies and I have to use my inhaler 4 times a day. It is great that you got to go along and so this with your son. You are so right, although asthma is fairly common it can be deadly! Thanks for sharing this and for raising the awareness. It is also nice to see more is being done for kids with asthma! That’s so amazing that they’re offering this service, asthma is such a terrible condition for kids and the more that can be done to help the better. Great post. In some ways, invisible conditions like asthma and diabetes are the most dangerous because of their intermittency and randomness. It’s far far too easy to get lulled into a false sense of security and then be unprepared or without your meds when you most need them. I myself have asthma. I’ve had mild asthma all my life. I have never been hospitalized (thank God) and have gone several years without using my inhaler (crazy, right?). I cannot imagine it from a parent’s end. I’m sure it worried my mom a lot when I was first diagnosed. Wow, this looks like a great service from Lloyds. I can imagine that it is really worrying having a child who has asthma. This service would be really supportive and help put both the child’s and parent’s mind at rest . It must be so scary to see a kid having an asthma attack. It’s great that they are putting so much research in to it. I think it’s great that Lloyds pharmacy are trying to raise more awareness about asthma. My Nan has suffered with it for years and I’m never quite sure how to help. Fingers crossed things start to improve for him. Poor dude. The mouth should be rinsed after all steroid inhalers to avoid contracting oral thrush also. I hope he starts to get some relief from a newer treatment. Great post and a really good read for people coming across this for the first time. Asthma is a serious condition and needs to be managed well.